Managing stress with rejuvenation is important to reverse the effects of aging and prevent disease. Rejuvenation therapy is the use of any treatment or lifestyle change that reverses the aging process through minimizing stress, promoting cell repair, and detoxifying the body. Rejuvenation therapy is not the slowing of the aging process. It is the reversal of aging to a healthier, more youthful state. When you encounter a stressful situation, your nervous system responds in a variety of ways. Several metabolic processes activate because of your sympathetic nervous system, which helps you deal with real or perceived danger. Your adrenal glands release adrenaline to increase your heart rate, breathing rate, and raise your blood pressure. This increases the oxygen concentration in your blood to help you fight or flee from danger. Your senses become sharper, your pain tolerance increases, and your muscles receive additional sugar and fat to burn for energy. Hormones trigger your body to reroute blood and nutrients from your skin to other areas. Your body also begins shutting down nonessential functions, such as your immune system to conserve energy for battle. While this is good during a life-threatening event, it is extremely damaging to the body and mind if it continues. Once the perceived danger, or stressor, is over, your body may have trouble returning to a normal state. Rejuvenation therapy helps return your body to a calm, relaxed state, and promotes the repair of accumulated damage caused by years of living with chronic stress. Aging affects both the body and mind. Over time, especially when the mind and body are under stress, damage occurs to the cells, tissues, and organs. For example, by decreasing blood flow to the skin, chronic stress causes wrinkles, sagging, and dryness. The hair and nails dry out and become brittle. Stress also triggers the release of inflammatory chemicals inside the body that may cause or worsen acne. Insomnia, high blood pressure, and gastrointestinal problems are higher in those dealing with chronic stress. Mentally, stress-related aging impairs memory and cognition, and may contribute to depression and anxiety. Rejuvenation therapy aims to reverse this damage. During times of stress, the body produces a hormone called cortisol. Cortisol is involved in the regulation of blood pressure, immune function, insulin release, glucose metabolism, and the body's inflammatory response. Over time, a high level of cortisol impairs cognitive performance, decreases bone density, lowers immunity, increases the storage of fat in the abdomen, suppresses thyroid function, and imbalances blood sugar levels. Managing stress with rejuvenation therapy lowers cortisol levels, thereby preventing negative health effects and encouraging the repair of damaged tissue and organs. Rejuvenation therapy for stress management involves reversing the effects of stress-related aging on the mind and body. When the body is healthy, stress is easier to manage both mentally and physically. Moreover, reducing stress levels rejuvenates the mind and body. Eat a diet high in antioxidants. Antioxidants eliminate damaging free radicals from your skin, resulting in healthier, younger looking skin. Prunes, strawberries, plums, red beans, pinto beans, blueberries, cranberries, cloves, cinnamon, and oregano are all high in antioxidants. Including at least one of these items in each of your daily meals will ease the effects of stress on your body and rejuvenate your skin. Increase your consumption of vitamins C and E. Vitamin C is very effective at reversing the signs of aging. In addition to being an antioxidant, vitamin C supports collagen formation and stability, which is vital to elastic, youthful skin. Vitamin E supports the immune system and combats oxidative stress, thereby preventing disease and reversing the effects of aging. Exercise every day. Exercise encourages muscle growth, decreases fat, detoxifies the body, improves circulation, and drains the lymph system. Engaging in regular exercise will help you look and feel younger. Yoga and tai chi are both excellent at managing stress. Drink plenty of water. Water helps flush toxins from your body, promotes a stable pH balance, and supports cell membrane health. Exercise your mind. Stress increases age-related memory loss, but mental stimulation may actually reverse mental aging. Stimulate your mind by exposing yourself to new sights, smells, and tastes, and keep your brain and memory sharp by doing crossword puzzles and reading. 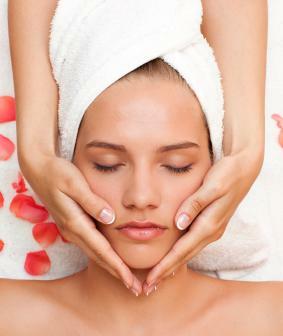 Reduce stress with a rejuvenating massage. Massage improves circulation and increases calming and pleasurable chemicals in your brain. Get at least eight hours of sleep every night. Adequate sleep is vital to a healthy mind and body. When you are tired, you are not equipped to deal with acute or chronic stress. The effects of sleep deprivation can be significant, and may include heart disease, premature aging, memory loss, anxiety, and depression. Try guided imagery for managing stress with rejuvenation. [[Guided Meditation Script|Guided imagery]] is the use of directed thoughts to increase relaxation and improve health. The technique is very effective at managing both short and long-term stress, and it can help reverse aging by lowering blood pressure and decreasing the production of cortisol. Through a combination of dietary, lifestyle changes, and stress-reduction techniques, you can experience a reversal of the aging process and improve your overall health.